If you’re in need of a pickup truck, it may seem overwhelming to choose between the many different types currently offered in the market. When it comes to a full-size pickup truck, you want to find something that tows a large load, offers a powerful and reliable engine, and provides a comfortable interior. The 2019 Nissan Titan does that, and so much more. Whether you need a truck for functionality or fun, you’ll find it in this new-and-improved Nissan pickup. The Nissan Titan flaunts classic yet assertive styling and a full-size body. The model is available in both single cab and crew cab variations, meaning you can opt for family-friendly seating with four doors. 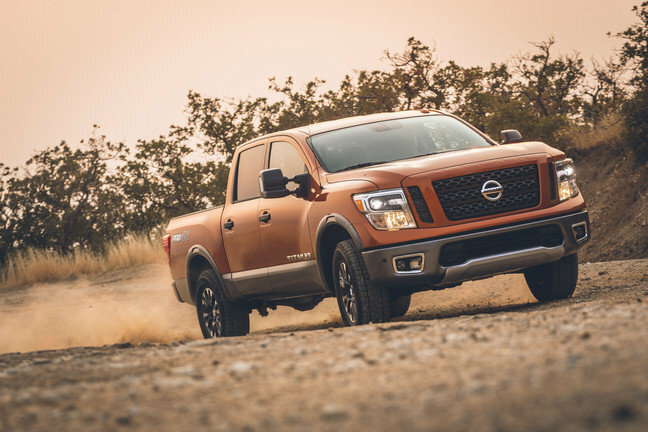 Under the hood, the 2019 Nissan Titan does not disappoint. Its 5.6-liter V8 engine outputs 390 horsepower and over 390 lb-ft of torque. Its strong powertrain allows the truck to tow over 9,200 lb and carry a payload of over 1,600 lb. Needless to say, it does its job in the pickup truck department. The Nissan Titan truck's capabilities are impressive, but it’s the extra features added this year that really make it special. Safety amenities, optional upgrades, improved technology, and more. For starters, the new Nissan is compatible with Android Auto™ and Apple CarPlay™, technology that allows drivers to navigate their phone on the car’s standard seven-inch touchscreen. In addition to its infotainment system, the Nissan Titan also offers an available Fender® audio system for those who are serious about their music. What’s more, an optional off-roading package optimizes performance for second-to-none capability when encountering adverse conditions. See the magic of the 2019 Nissan Titan for yourself by visiting our Orlando Nissan dealership!